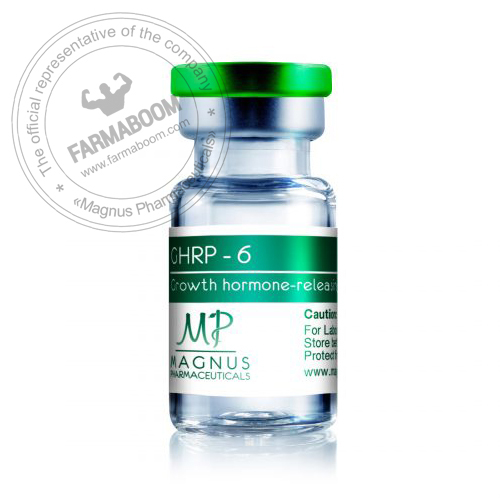 GHRP-6 is a drug of peptide origin, which is one of the most sought-after bodybuilding for increasing muscle volume and recovering from heavy physical exertion. Strength endurance increases, the duration of training increases due to better well-being and improved well-being on the peptide course. Reduction of fatty subcutaneous fat. The liver copes better with its functions. The peptide chain of the drug contains 28 consecutive amino acids that affect the pituitary gland in such a way that the production of somatotropic hormone increases dramatically. 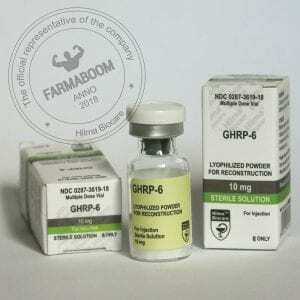 The peptide drug is distinguished by the fact that it has virtually no side effects, and cortisol and prolactin increased in the blood can be easily eliminated by inhibitors, or after the course they will decrease, since the growth of their indicators is really insignificant. Appetite on the course of the drug increases, but moderately. The introduction of the drug is possible only by subcutaneous and intramuscular injections. Daily dosage should be divided into 3 injections.